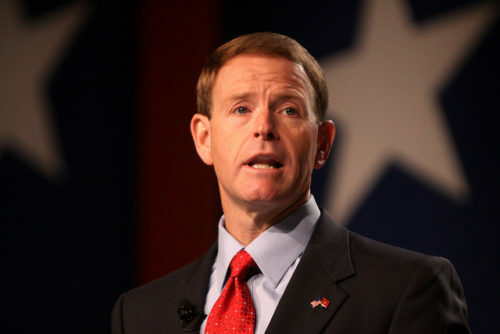 Tony Perkins, head of the anti-LGBTQ hate group Family Research Council, is urging his followers to pray – against civil rights laws. If passed, the Equality Act would ban discrimination against women and LGBTQ people in employment, housing, education, and several other areas at the federal level. “The liberal Democratic party leader will be second in succession to the President, after Vice President Mike Pence,” Perkins warns his followers. He goes on to point out that a bipartisan group of approximately 200 House members also support the proposed law. Perkins ties himself in knots trying to find a way to describe the law negatively – including a generous amount of scare quotes. But when Perkins gets to the daily prayer, he really goes off the rails as he exhorts God to deliver them from following civil rights law that requires they treat everyone with respect. “Father, please open the eyes of all Americans to understand that religious liberty, which our original 13 states demanded be included as our first freedom in the Bill of Rights, must be honored above behavior which is immoral,” Perkins writes, conveniently forgetting that in the Bible, Jesus told his disciples to follow secular law. In the Bible, Jesus told believers that his biggest commandment was to love each other. He did not make an exception for LGBTQ people. At the end of his missive, Perkins includes references to Bible passages where Biblical figures revolted against the government.